Visitation: Visitation, with family present, will be Saturday, February 2 from 5-7 p.m. at Anderson Funeral Home in Canton. 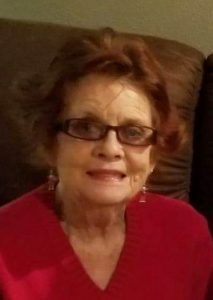 Patricia Anne “Patsy” Williams Franka, age 82, passed away Wednesday, January 23, 2019 at Ava’s House surrounded by her family. Visitation, with family present, will be Saturday, February 2 from 5-7 p.m. at Anderson Funeral Home in Canton. Patricia was born on July 23, 1936 in Springfield, SD to Marion and Anne (McCormick) Williams. She graduated from Springfield High School. She married Melvin Franka on April 22, 1967 in Sioux Falls, SD. The couple lived in Garretson, Lennox, Sioux Falls, and for the last year, Canton. Patsy enjoyed country music, baking, walking, fitness and crocheting. She loved spending time with her family, especially her grandchildren. Grateful for sharing her life are her husband, Melvin; daughters, Cindy Ellefson (Randy), Colleen (Greg) Elliott, and Mary Jo (Alan Jr.) Fossum; grandchildren, Jeff (Melissa), Eric (Molly), Bo, Meghan (Jim), Tricia, Allan (Jackie), Austin (Taylor), and Gracie; great-grandchildren, Micah, Macey, Mason, Madelyn, Quinn, Boeden, Teagan, Taylor, Shawn, Wyatt, and Henry; great-great-grandchildren, Jordan and Hudson; niece and nephew, Brian Williams and Maureen Williams; along with numerous extended relatives and friends. She was preceded in death by her parents; brother, Donald Williams; infant daughter Margaret; and great granddaughter, Olivia. In lieu of flowers, memorials may be directed to the Children’s Home Society. My Deepest Condolences. May God give you the strength and the The Peace that only his hands can give to you and your family. Be surrounded by his love and grace during this difficult time. Just this summer we found each other again. We talked for 2 hours. It was great talked about trying to get together this summer. Bonnie was going to come also. My sincere sympathy to your family I was neighbors to Pat in Lennox we had lots of fun times together and ran into her shopping last fall. We were going to get together for lunch and it never happened. What a great lady !